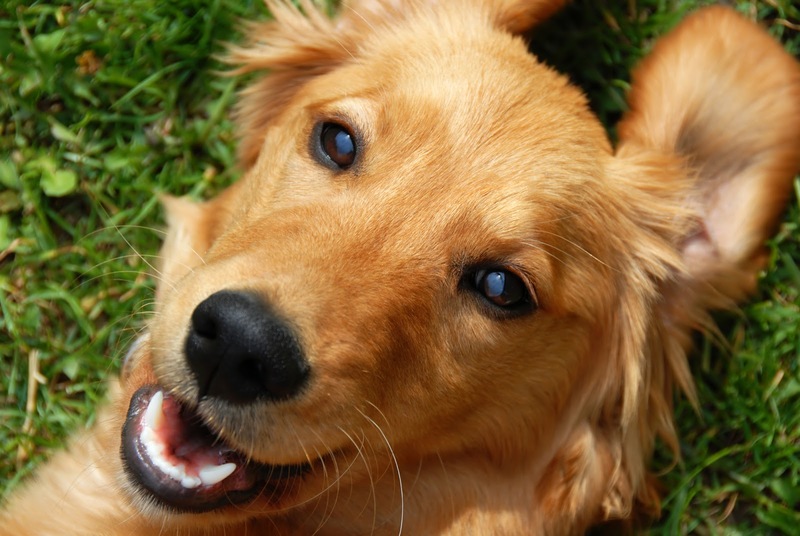 Killer Characters: Happy Puppy Mill Action Week! Happy Puppy Mill Action Week! 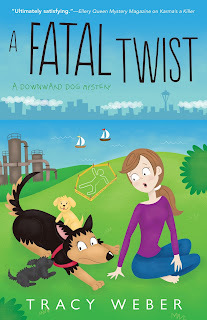 By Hope, from Tracy Weber's Downward Dog Mystery Series. Hi all! 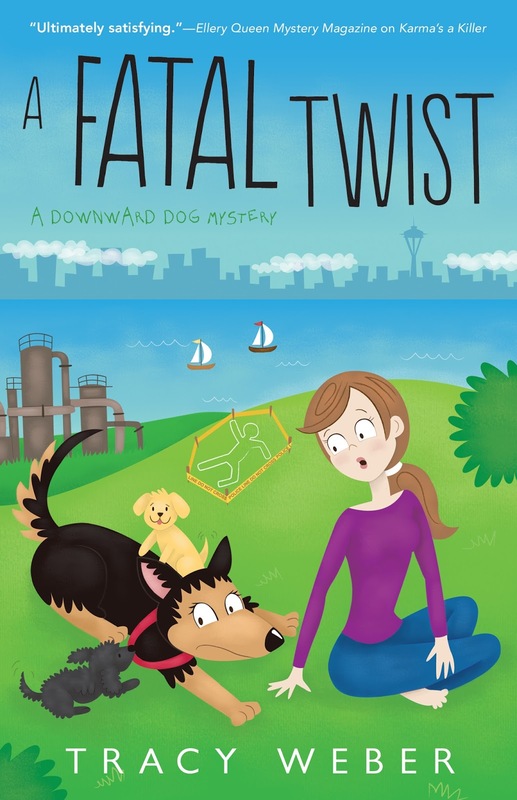 Hope here, from Tracy Weber's fourth Downward Dog mystery, A Fatal Twist. You might not guess it from my photo, but I used to have a pretty tough life. I lived in a shed with a bunch of other dogs. Our only job was to have puppies. We didn't get to play, sleep in beds, or hang out with human friends. I don't talk about that part of my life anymore, because it seems like such a distant memory, and I want to keep it that way. My life now is beyond fabulous! But Tracy asked me to visit the blog today to remind you all that it's Puppy Mill Action week. If you can rescue a dog (like I was rescued) awesome! If you use a breeder to get your pup, visit the breeder, make sure their animals are treated like family members, and help all of us get the happily-ever-after we deserve. Tracy gave me permission to let you know that I'll be making another appearance in her upcoming mystery, Murder Likes it Hot! You'll get to see how much my life has been transformed and watch me work as a therapy dog to help others. You'll be impressed with me, I promise! I hope you join me on my adventures, that you have lots of puppy love in your life, and that you rescue or only support reputable breeders. Help make puppy mills like the one I was part of a thing of the past! Please give all pups like me hope! 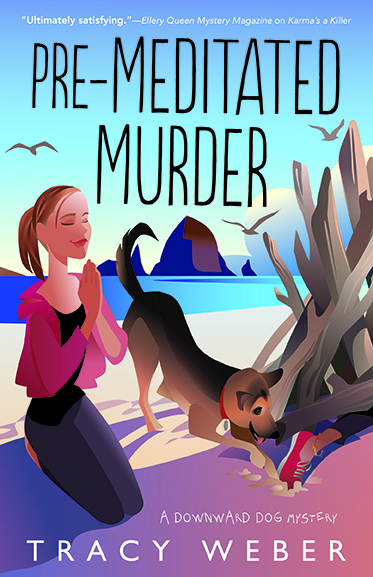 Pre-Meditated Murder is available now! I'm so happy you found your forever home Hope. Being a therapy dog will be so rewarding.